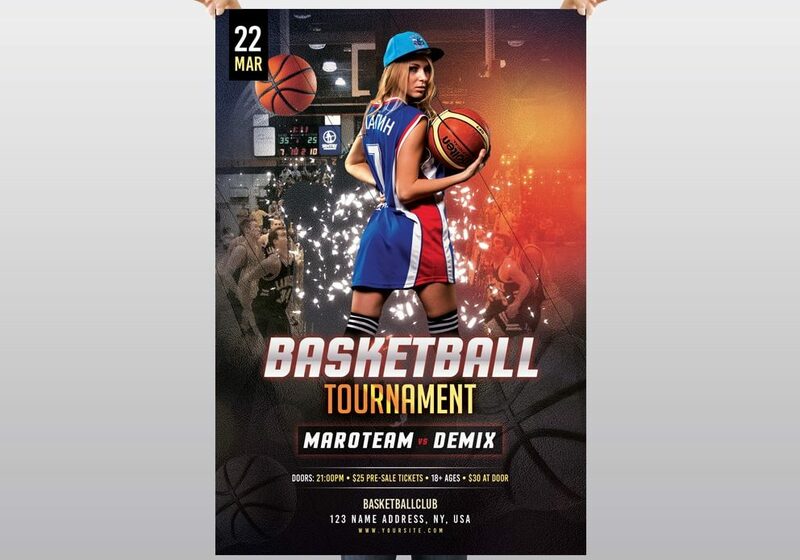 Download Basketball Tournament PSD Flyer Template. This creative Flyer is fully editable and easy to customize. It is suitable for any Basketball Game, NBA, Tournaments or other sport related.